The Birth Pool in a Box Mini holds 40% less water than the standard Birth Pool in a Box, perfect if you are worried about your hot water supply, or need to take up a little less space. Please speak to us about using our lay-by or payment plan or hire options if this is what works best for you. Don’t have the money right now? No problem! You can buy now and pay later – interest free and no extra charges. Just select Afterpay as your payment option in the checkout. Latest design in Pool technology! 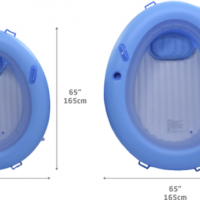 The new material in the Eco pool does not have additives that have been linked to harming animals and peopleNow includes one disposable liner and additional liners are available for just $55.00. Using a liner also means two “containers” for the water, giving added protection against water leaks and makes cleaning up a snap – removing a distraction after the arrival of your new baby.Deep enough to give bouyancy without compromising midwife support – The minimum recommended depth of water to provide bouyancy for a mother in labour is 45cm (Source: The Waterbirth Book by Janet Balaskas). 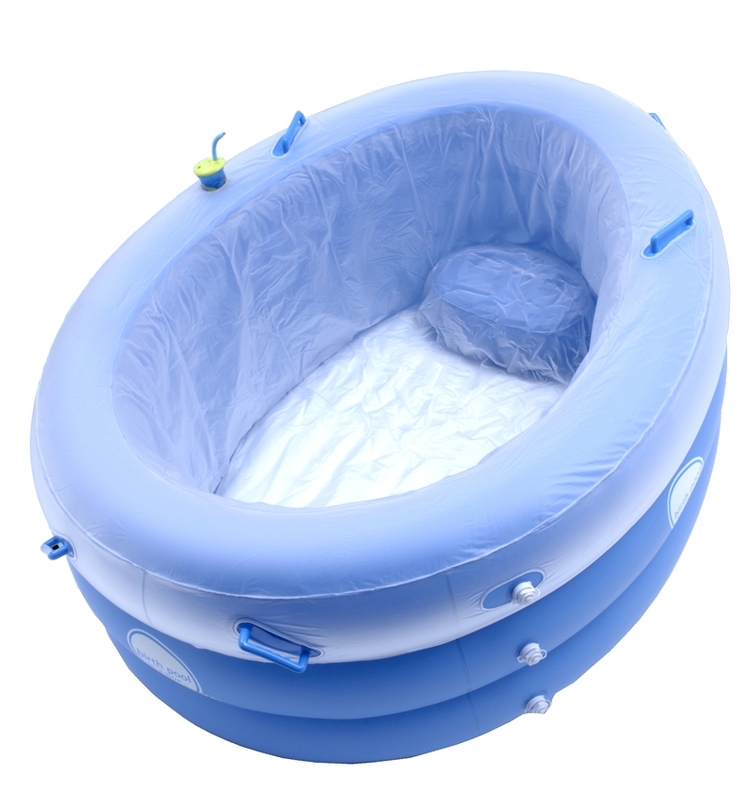 New birth pool in a box has an internal depth of 66cm and since the sides are stiff when inflated.The new top handles provide added control for mothers to control their movements while floating and some wanted additional gripping points.The sides of birth pool in a box are made of 3 independent tubular chambers stacked on top of each other. 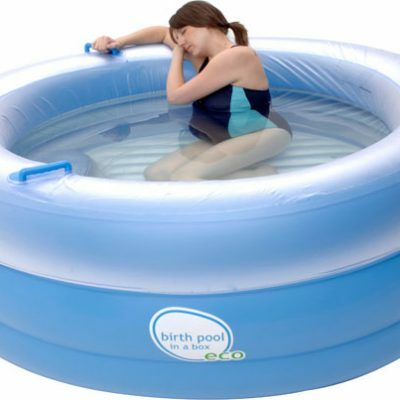 If one of them should puncture by accident, only 1/3 of the wall height will be lost.The Birth Pool in a Box Mini is welcoming and the inflated sides are comfortable to rest upon. 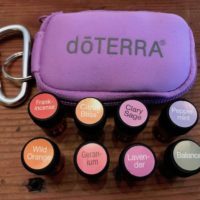 This is conducive to your relaxation which will enhance the production of the hormone oxytocin, speeding up your labour. 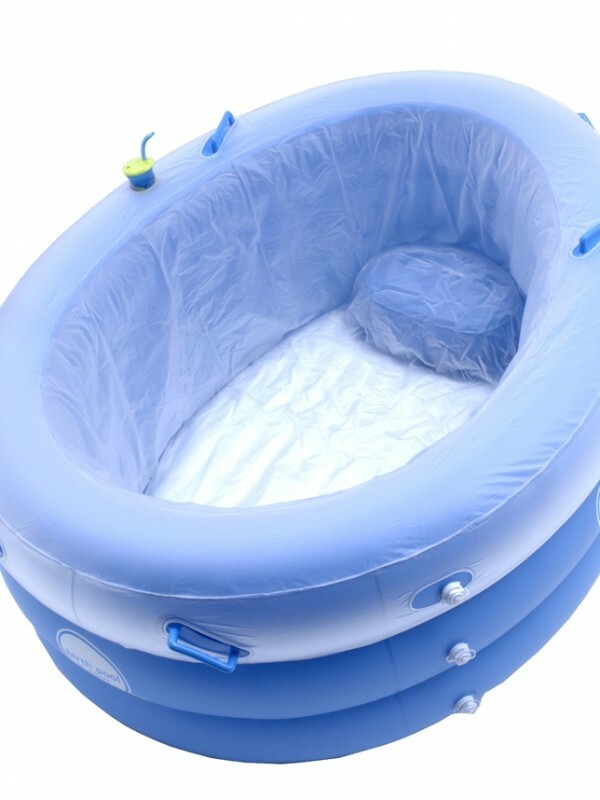 Sturdy enough for birth partner and midwives to support from any position Once the pool is filled, the sides are sturdy enough for a 15 stone (95.5kg) person to sit on the side without collapsing it. 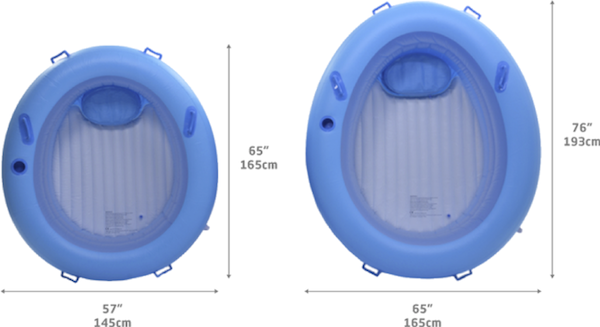 If your partner plans to join you in the pool, we recommend the regular size.Every single pool is inflated and left for 8 hours before testing and packing. Then 5-10% are randomly tested by independent inspectors. That means structural integrity you can depend on.Any air hand pump or electric pump with standard fittings can be used to fill the pool in around 10 minutes. 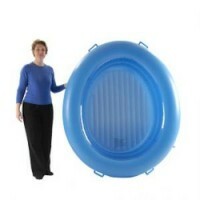 Water filling time depends on your hot-water system.Proven in the field Birth Pool In A Box has been used successfully for labour and birth by thousands of women in Britain and Europe.Designed with purpose Birth Pool In A Box is designed with safety, practicality, comfort and resilience in mind. 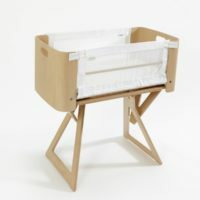 The Birth Pool in a Box Mini is faster to set up and fill, while still having the features of the regular birth pool in a box – including the adjustable height, handles, seat, cupholder.